Starwood Motors located in Dallas, TX near Ft. Worth, TX. Visit Starwood Motors in Dallas, TX for a large selection of Starwood Custom Jeeps ready for purchase as well as a quality used car selection. We Are Your Custom Shop destination for all lift, wheel and tire needs near near Ft. Worth, Frisco, Carrollton, Plano, Westover Hills, Flower Mound, Uptown, McKinney, Farmers Branch, Highland Park, Lakewood, University Park, Mansfield, Westlake. Are you wondering, where is Starwood Motors or what is the closest used car or custom jeep dealer near me? 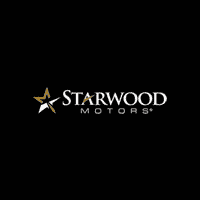 Starwood Motors is located at 4641 Nall Road, Dallas, TX. You can contact us by phone at 214-367-5400. Although Starwood Motors in Dallas, Texas, is not open 24 hours a day, seven days a week – our website is always open. Here, you can research and view photos of vehicles that you would like to purchase, view our custom jeep and used vehicle inventory and more. Visit our Meet the Staff page to familiarize yourself with our team who is committed to making your visit to Starwood Motors a great experience every time. Used Cars, Trucks, and SUVs, Custom Jeeps and Jeep upfit shop in Dallas.